Ann Handley says writing isn’t hard, middle school is hard. Do we need to bleed when we write? When you reframe writing as a practice, you can sit in the discomfort of knowing it’s never going to be completely easy. One of the joys of writing is that as soon as you reach the next level, the next mountain peak is staring at you. It’s like yoga, Pilates, golf, or medicine or law – it’s called a practice because when you stick with it you will improve. But, as with any practice, there are things you can put in place to make it easier. I’m examining some techniques so you can have more writing tools to add to your toolbox. 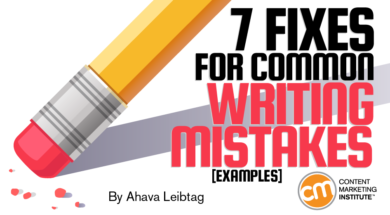 Below are seven common writing problems and the fixes I use when I can’t type the words the way I need them to be. Later, I will go back, see where I’m going with what I wrote, and fix it. Or, I’ll ask an editor to help me. Where’s the beauty in this piece? The polished gem of persuasion? In the fifth paragraph. Fix: An excellent way to find your lede is to look at the bottom of your piece or the last paragraph before you introduce a new idea. It’s usually there, peeking out like an excited child playing hide and seek. Grab that fabulous example and paste it at the top. Remember, as a writer, it’s your goal to give people the information they need to make decisions. Don’t make them wait for it. Otherwise, they’ll abandon your content like people in line for a sold-out movie. As a writer, you think everyone recognizes your ideas and your vocabulary around those ideas. But if your audience doesn’t share your vocabulary, they won’t know or want to work hard to understand what you’re saying. Using jargon to impress does the opposite, like wearing too much cologne on your first date. You know what works? KISS – keep it simple, stupid. (You are not stupid, but all writers need a bit of humility every now and again). 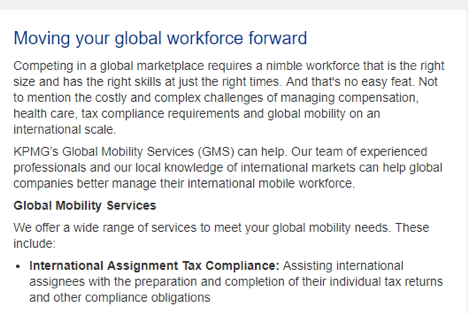 This content from IBM is confusing, yucky, and doesn’t really get to the point. Fix: Check out how KPMG does it – its content gets to the point quickly, simply, and without asking you to believe their writers have advanced degrees. Only boring people talk about themselves all the time. Interesting people are interested in others. You should be interested in your customers – after all, they’re keeping you in business. Focus your content on addressing their pain points and needs AFTER you talk about them. 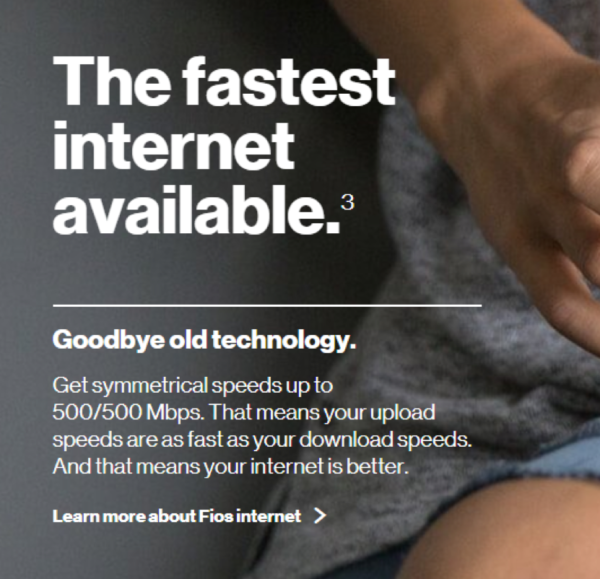 Verizon is so busy telling you about its technology it forgets to connect the dots of what truly matters to the customer. Fix: What matters to customers? The benefits they will receive from using your service. 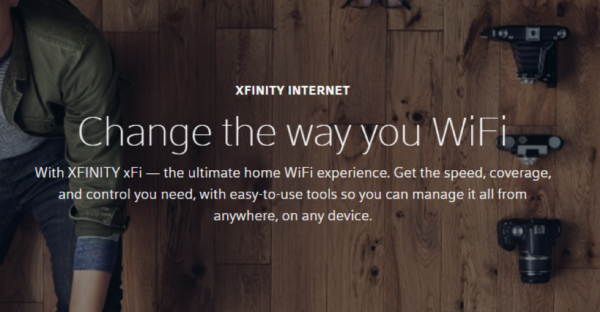 Xfinity talks about speed, coverage, and control. These are the benefits customers want in their Wi-Fi provider. Really, creepers? 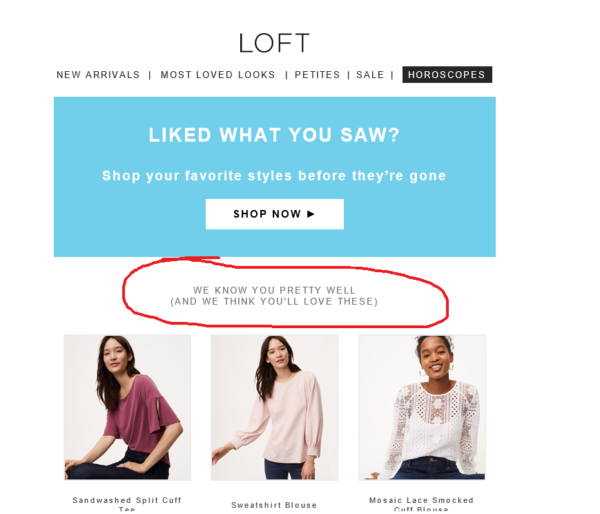 My friend was offended by this email. 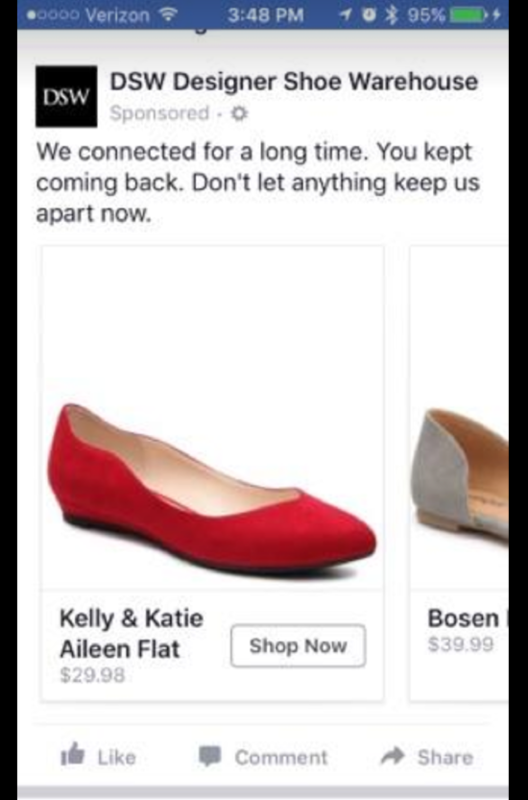 She felt like the brand was letting her know that it tracked her purchases. She knows it does but didn’t want to be reminded of it. And she hated all the blouses Loft said she would like. What a dangerous tactic to think you know your customer and then get it wrong. Like, #fail. Notice the “yep” and the “ahem”? But later down the page, this “wink-wink” tone disappears. Fix: Better to follow industry standard – no more than two editors. If you just spit out your coffee or hit your screen with your head in disbelief, remember it’s a goal, not somewhere you are. 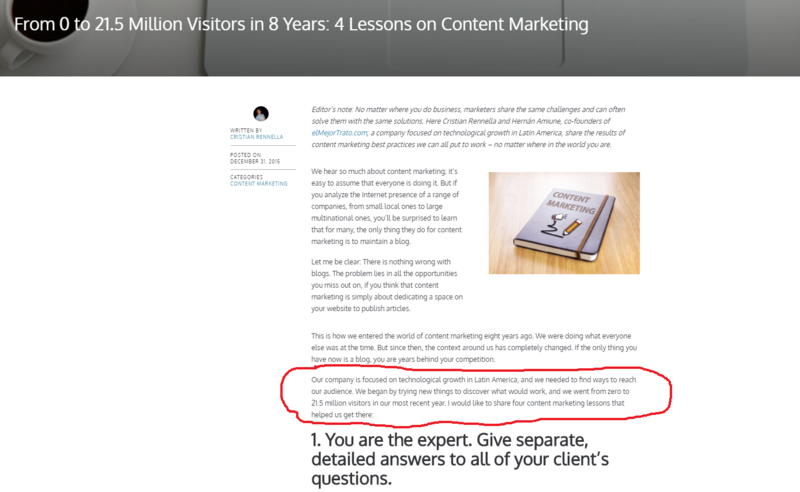 If you have more than two editors and a bajillion writers, you’re not satisfying your customers’ needs. Truth. Now check out a better way with a consistent tone. Oh flabbiness: Be gone from the world, from our bodies, and from our writing. Flabby content is easy to diagnose. It makes grandiose claims with no supporting statistics or proof points. 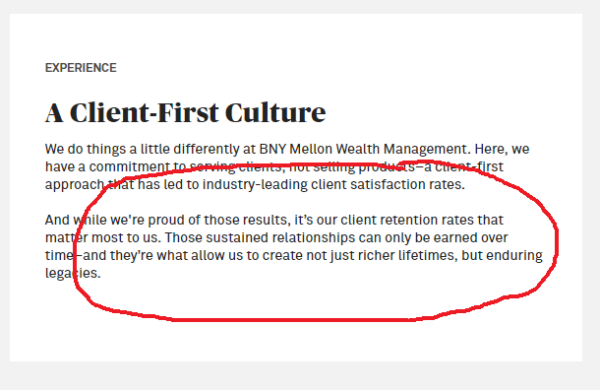 Fix: What are your client retention rates? Are they industry standard? Are they a percentage? Tell me, so I can believe you. Follow the lessons of Journalism 101. You need two sources and you can’t write it unless you can support it. 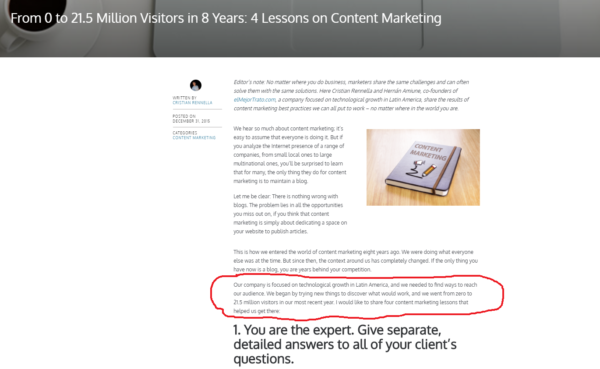 Put backbone into your content by verifying that what you’re saying is indeed something you can prove. Boring, boring, bored. Don’t bother saying the same thing everyone else says. 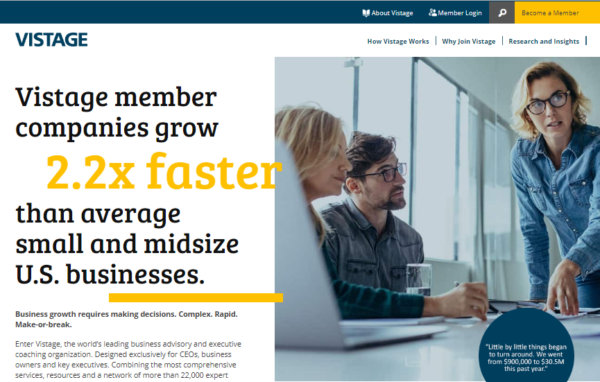 Here’s how Vistage does it right and then gets it wrong on the next screen. 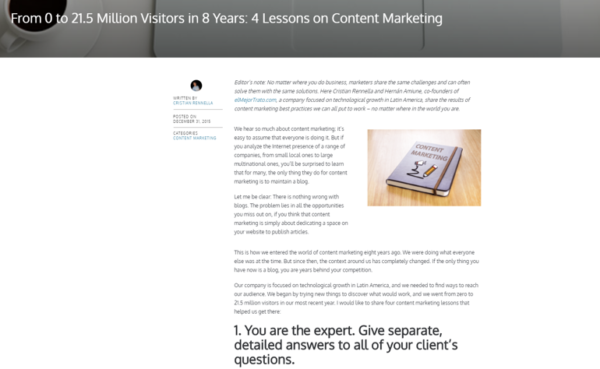 On the home page, the value proposition is bold and unique: Who wouldn’t want to grow their company 2.2 times faster than other businesses? But on the second page Vistage doesn’t give the reasons viewers need to believe the methodology will work. 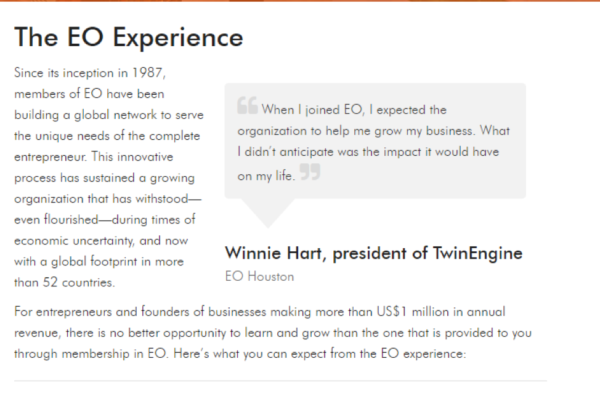 Fix: However, when you look at Entrepreneurs’ Organization, it gives proof points that make you want to join (full disclosure: I’m a member of EO, but I had nothing to do with its content). Every writer has tools in their toolbox. Some are razor-edged. But some have become blunt. These techniques will help you sharpen those tools and diagnose when you’re taking the easy way out. Remember, sometimes you go to the mat, and sometimes the mat goes to you. As a writer, both are going to get the best out of you. Just keep plugging away. Learn from the orator who said writing isn’t hard, middle school is hard, and many more experts in their content fields. Register for Content Marketing World Sept. 4-7 in Cleveland, Ohio. Use code BLOG100 to save $100.